Let your event dreams come true in a state rich with beauty and color. Guests will be pleased to receive the Idaho Invitation in the mail. 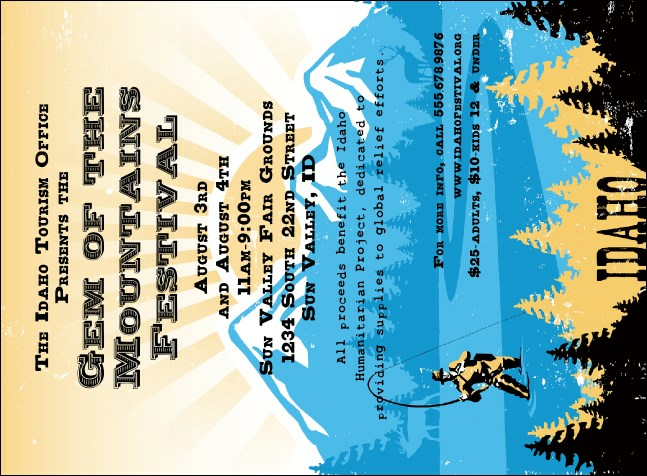 This invite includes images of mountains, wildlife and outdoor sports. From Boise to Sun Valley, watch your event take off with TicketPrinting.com.